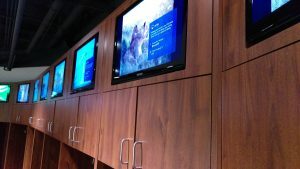 SCU Locker Room Upgrade | Riverview Systems Group, Inc. 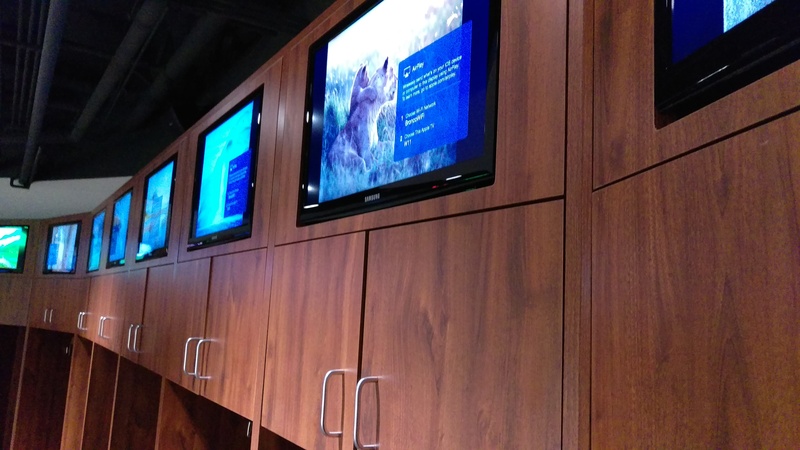 This project included a presentation system in the Locker Room for coaches to review and telestrate on an 80” NEC Display. 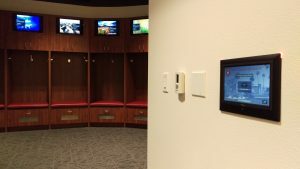 In addition, each locker room is equipped with an Extron Control system and Apple TV’s which allows athletes to stream music throughout the locker room. One added feature to the locker rooms is the 24” LED digital nameplates for each player. 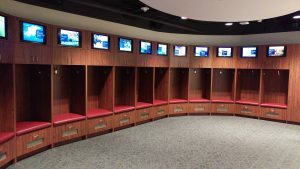 This allows each player to have custom graphics or even motion graphics as the nameplate above their locker. Each locker room also includes a separate lounge with a 80” NEC Display, Apple TV, Direct TV and HDMI Inputs. 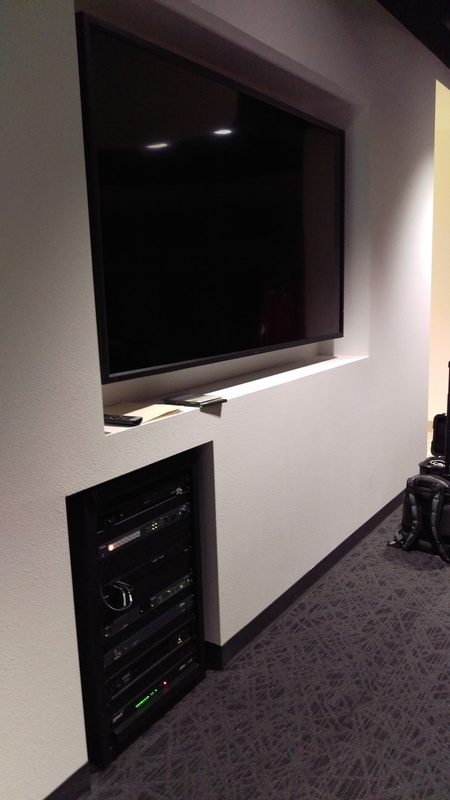 Each space is accompanied by a Bose Professional loudspeaker system backed by QSC Amplification.